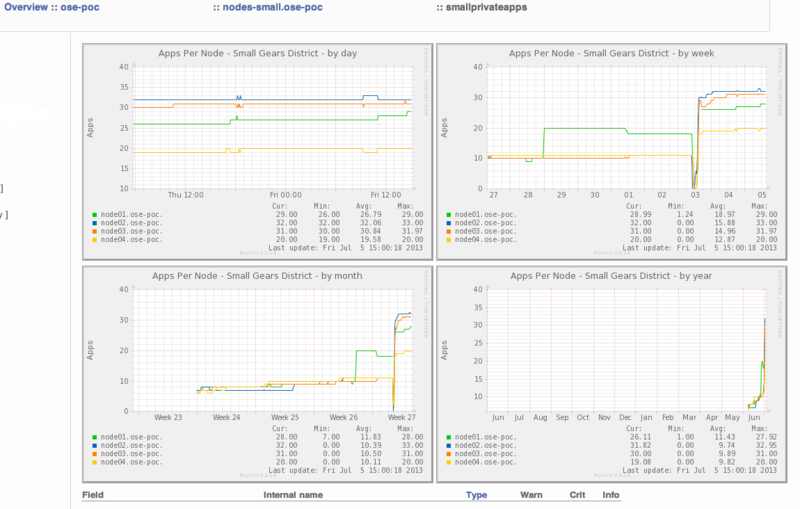 I created a munin plugin to chart the number of gears present/idle on OpenShift application node instances. The plugin was written for/tested against OpenShift Enterprise 1.2. 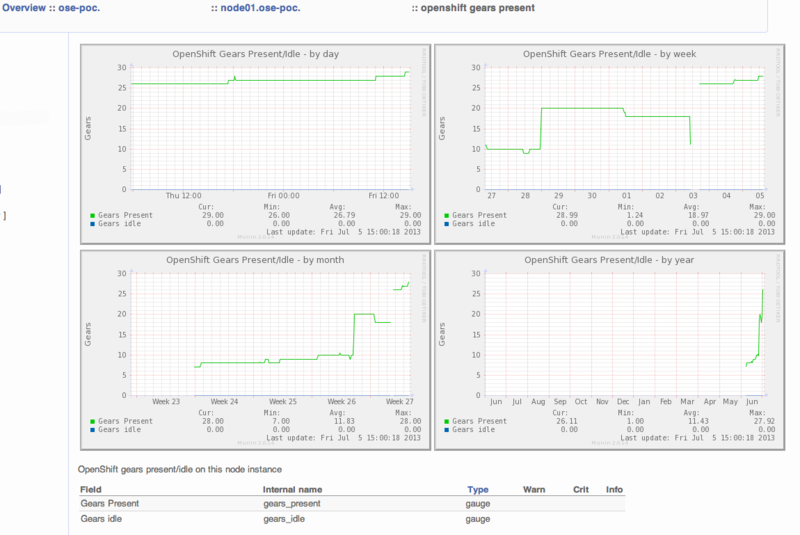 These charts show the number of gears present/idle on a single OpenShift application node instance. Nothing special required to set this plugin up. Just copy the script/configuration to your node and then restart the munin-node service. This is a combined/multigraph chart showing the number of gears present on all nodes representing my “small” district. This chart is created using the munin concept of ‘loaning’ data. Interested in trying it out yourself? The code is up on github: tbielawa/openshift-munin-plugins. Along with the actual plugin you can find example munin server configs for creating the multigraph chart of gears across all nodes in a district.